I was more saddened than angered when I learned that the North American Board of Trustees of the Union for Reform Judaism condemned Israel’s plans for construction in Jerusalem and the E1 area because it highlights Israel’s failure to adequately explain our position even to American Jews…writes Isi Leibler. As a quid pro quo to Prime Minister Sharon’s 2004 unilateral withdrawal from Gaza, the Bush Administration agreed that taking into account demographic changes, areas encompassing the major settlement blocs would be retained by Israel. However, this was indirectly challenged by President Obama in his May 2011 speech which called for the 1967 borders plus swaps as a starting point for negotiations. But anyone seriously involved in Middle East affairs understands that these areas can never be separated from the Jewish state. However Jerusalem and Maale Adumim and the major adjacent settlement blocs will remain part of Israel and this is one issue concerning which we must remain steadfast. And we cannot be expected to freeze construction indefinitely because the Palestinian Authority leaders refuse to negotiate while they proclaim a willingness unite the genocidal Hamas, whose leader Khaled Mashal only a few days ago again publicly reiterated his pledge to wipe away the Jewish state through military action. Is Isi talking about the Union for Reform Judaism Jews in US criticizing Israel or our Progressive Jewish Movement here ? What is their problem??? It’s housing, damn it; not bomb factories – housing for a city already bursting at the seams. Tell those not directly involved that they go to hell, it’s the business of the local City Council, not a bunch of distant ‘arm-chair’ experts. If the Palestinians are incapable of building their own proper housing – tough, get over it! Our ignorance in America is due to our biased news companies,tv-newspapers-radio-etc. it is evident to the Christians that THEY are ignorant about the BIBLE! It is HARD to forgive them too. We continue to pray for “God’s chosen people”. It’s not really about ‘informed’ people; it’s about the multitude who don’t care to be informed and want to jump on the bandwagon and use everything within their power to slander and destroy the State of Israel. Olmert, and other Israelis who present as they do, are gleefully taken up and parroted to promote and enhance the great international cause the Palestinians have become. The democratic right to free speech that Israelis have can be seen to be turning into treason – that’s how damaging it’s becoming. We haven’t got enough ill-informed enemies without adding yet another from within our own ranks, yet? Shame on yoru, North American Board of Trustees of the Union for Reform Judaism. Do some homework, research your facts and background before adopting your condemnation of Israel in her ongoing desperate fight against a shamelessly biased media, the lying leaders of the Palestinians and the appalling, cringeworthy behaviour of the very organization, the so-called United Nations, which is charged with the resposibility of ensuring a just outcome of international conflict. 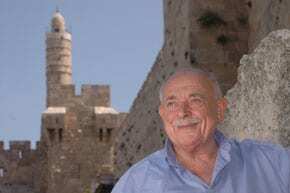 However, Isi Leibler is right in his implicit condemnation of the Israeli PR machinery. It needs a thorough overhaul and a reality check. As for Olmert. . . which informed person gives him any credence whatsoever? I have news for him. We have the same issue here with the AJDS, who need to be evicted from the JCCV, who should NEVER have accepted them as an affiliate. Our organisation supports the compromise decision of the Australian government to abstain on the recent UN General Assembly vote to upgrade the Palestinian status to a non-member observer state. We also strongly support your decision for DFAT to call in the Israeli ambassador over Israel’s subsequent announcement authorising the construction of 3,000 new settler homes in the West Bank and development of an area of land known as E1, between Jerusalem and the West Bank. Although the headlines in the recent edition of the Australian Jewish News, “You’ve Let Us Down” – in reference to the abstention by Australia at the UN – reflects the views of some in our community, it is by no means a universal view. We know this because articles we wrote which were published in both the Age newspaper and the Australian Jewish News in August 2011, arguing in favour of the recognition of Palestine, received support within our community. In August of this year we visited Canberra and met with several Labor members including Maria Vamvakinou, Laurie Ferguson, John Murphy, Kate Lundy, Claire Moore, and Andrew Leigh. We put to them that there is another constituency in the Jewish community, supportive of Israel, who believe that it is time for Australia to speak plainly to Israel about the urgent need to resume negotiations towards a two state solution to the conflict. Steps such as settlement expansion, and indeed rocket fire from Gaza, work against a resolution. By way of reference, our organisation is an affiliate of the Jewish Community Council of Victoria. Does Mr Leibler condemn this statement by an Israeli official which appears to characterise the step as punishment ? “An Israeli official made it clear the government would not back down. Wow! The Irish Times huh. Great source of knowledge of the ME! Any other gems of info like that Ben?